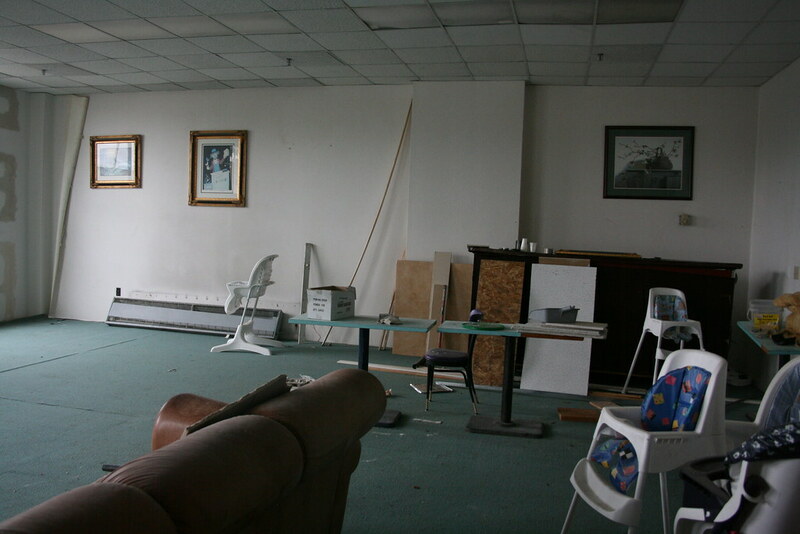 all abandoned - loose goose resort - all hotels have a synagogue, right? All hotels have a synagogue, right? This one certainly did. Notice the lectern slightly right of the middle of the frame, against the back wall. Although it seems secular in design, it was in fact the synagogue for this hotel. IIRC, there was a torah on-site, which is nothing to shake a stick at (they are quite expensive). However I later found out that they keep it in its own safe.